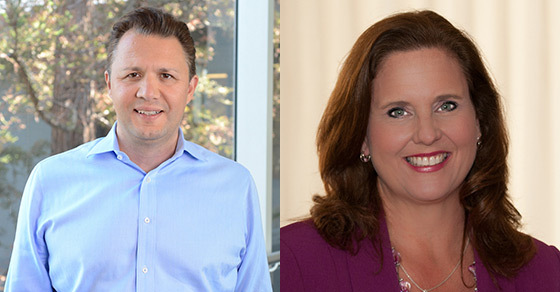 SANTA CLARA, Calif. –– August 2, 2018 —Silicon Valley Bank (SVB), the bank of the world’s most innovative companies and their investors, appointed Nick Shevelyov as its new Chief Information Officer (CIO) and Robin Staples as its new Chief Technology Officer (CTO), effective immediately. Shevelyov is succeeding former CIO Roger Leone, who will retire at the end of the year. Staples has been promoted from Head of IT Digital and Core Banking Solutions. Shevelyov has been with SVB for 11 years, most recently as the Chief Security Officer and Chief Privacy Officer. In his new role, Shevelyov will oversee IT operations, engineering, security and privacy. Prior to joining SVB, he managed security and data privacy projects at Deloitte & Touche, where he specialized in the technology and financial services industries. Earlier in his career, Shevelyov managed information technology departments and consulted on information security related projects with U.S. government entities and private industry organizations focused on mergers and acquisitions. He earned his Bachelor of Science in economics from San Francisco State University and his MBA from the University of San Francisco School of Management. Staples brings more than 20 years of technology leadership and client-focused development to the CTO role. She will drive the strategic direction and execution of technology platforms that provide industry best in class solutions and experiences for SVB’s unique clients. In this role, Staples will oversee all product development for critical commercial and internal banking applications. Staples joined SVB one year ago to lead the company’s core banking and global digital strategy. Prior to joining SVB, she held various technology leadership roles at Visa, most recently leading the firm’s payment processing function as Senior Vice President and Global Head of Client Information, Clearing and Settlement. She earned her Bachelor of Arts in economics from George Mason University and her MBA from Pepperdine University, Graziadio School of Business.